Why has obesity become a disease? Certainly there are 2 sides to every story. Before we dive into this, let’s take a look at why obesity has become a disease. For decades obesity has become a growing concern. This is a troublesome topic and a burden for the American Healthcare System; it has been stirring up lots of controversy, but everyone can agree that at least 35% of U.S. adults and 17% of children and teens are struggling with their weight. There has become a growing concern as the numbers in adults, children and teens continues to escalate. Obesity is increasing earlier in years and continues later on in life. Studies show people who are obese in their 20’s carry that over throughout their 30’s and 40’s and have an increased risk of having a heart attack or a stroke later in life. One of the biggest concerns is that being obese is a leading cause of disability and death. And from a public stand point it is associated with other problems that include certain types of cancer, diabetes and heart disease. Nearly one-third of adults are obese in the United States. Obesity has become an ongoing battle for dietitians, and doctors alike. Both dietitians and doctors are spending a considerable amount of time working with these individuals on losing weight. 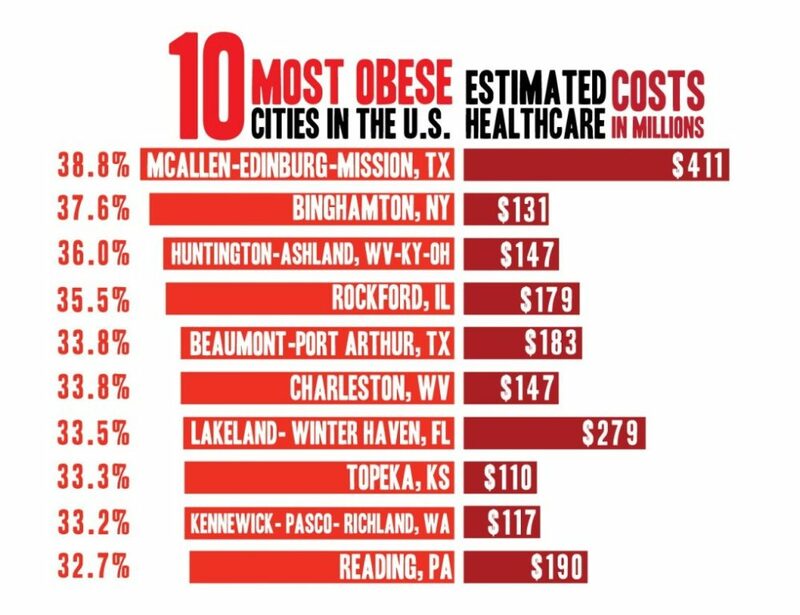 Despite the causes the fact remains that the effects of obesity can be both costly and devastating. The definition of obesity as a measure of body mass index-a calculation based on weight in relation to height –is tied to disease risks. “The higher your BMI, the higher your risk for certain diseases such as heart disease, high blood pressure, type 2 diabetes, gallstones, breathing problems, and certain cancers,” states the National Institutes of Health on its website. Who declared obesity a disease? Until recently obesity has been considered a condition and not a disease. The American Medical Association (AMA) made the decision to classify obesity as a disease. Note: The AMA is the largest group of physicians in the country. The decision has caused an obvious controversy for both healthcare providers and physicians a like. One of the biggest questions on everybody’s mind is, was it the right decision? Who supports the decision and why? The pharmaceutical industry hopes this decision will put an increased pressure on the Food and Drug Administration to approve new weight-loss drugs. Pharmaceutical companies also feel they have a better chance of reimbursement from insurance companies. Specialists in weight management, including those who previously debated that obesity doesn’t necessarily lead to poor health, praised the AMA’s decision during their annual meeting held in June. Most Boston-based physicians who treat obesity feel it will provide an improvement with insurance companies for reimbursements. The hopes would be reimbursements for weight loss drugs, surgery to shrink the stomach and provide counseling to provide and promote healthy lifestyle changes to last a lifetime. Many feel that quantifying obesity as a disease will provide a sense of relief for those whom are considered obese. They will no longer be blamed for their condition. Who doesn’t support the decision and why? Critics say that designating obesity as a disease takes the responsibility off patients. Obesity and fitness researcher of the University of South Carolina, Steven Blair does not agree with the decision. Blair states, “We have numerous papers in high quality journals showing that obese individuals who have a moderate level of aerobic fitness have no increased mortality risk.” He feels that inactivity is a much bigger health problem and it should be a public concern. Some individuals feel that categorizing obesity as a disease may reinforce blame; they contend parents who have overweight children may become accused of child endangerment or even neglect. There is a legitimate concern that obesity should not be considered a disease. Over one-third of Americans are considered to be obese and another one-third overweight. Being ‘diagnosed’ constitutes concern for unneeded prescription drugs and unneeded surgeries now that obesity quantifies as a disease that requires a wide range of treatments. Taking into consideration an individual’s body weight on the scale and disregarding a patient’s risk factors, family history, and physical fitness is certainly overlooking an individual as a whole. Rather than it being considered a disease, attention should be given to an individual’s lifestyle choices or failure in lifestyle choices should be considered. The body mass index (BMI) is used in diagnosing obesity as a disease. Obesity is calculated according to the height and the weight proportions of an individual. The body mass index (BMI) is calculated by dividing a person’s weight or mass by the square of their height. If an individual’s BMI is 30 or higher, by the new standards they are considered to be obese. The BMI has its flaws to measure and distinguish the overweight and obese. The measure can take a group of healthy and muscular individuals and place them in the same category as the obese and overweight group, who have a higher percentage of body fat or are unhealthy. Moving the BMI from 29 to a BMI of 30, is equivalent to contracting the disease. The BMI is by no means an accurate measure, but it is unclear if there are better methods. A 2009 study, using the National Health and Nutrition Survey, estimated excess deaths for people of standard BMI levels as well as those whom had comparable levels of percentage of body fat, waist circumference, hip and arm circumferences, waist-to-hip ratio, the sum of four skinfold thicknesses and waist-to-stature ratio. There was no systematic difference found between BMI and other variables. As one can clearly see the BMI is not just a poor measure of obesity, but obesity can be a poor predicator of an individual’s health. There are a number of contributing causes to obesity. The contributing factors are not black and white as everyone would like to think. There is a lot of grey in between. Obesity occurs when individuals consume more calories than their body requires. The body will store the extra calories as fat. Eating too much and leading an inactive lifestyle is often the culprit. But both genetic and hormonal influences can play a role in body weight. Let’s take a closer look at some of the common and not so common causes that could lead to weight gain. Age – As we age our body’s metabolism slows down. Individuals will no longer require the same amount of calories as they once did when they were younger. If individuals continue to eat the same amount as they age, weight gain will occur. Environmental Factors – Individual’s environment can greatly impact their body weight. Environmental factors such as what people put into their mouths and if they lead an active lifestyle can be contributing factors. Gender – If you are a male your body has a higher resting metabolic rate. Consequently, you require more calories to maintain your body weight. Females resting metabolic rate is not as high, and they tend to be more overweight than their counterparts; this occurs after menopause. Genetics – As stated previously genetics can also play a role in an individual’s leanness or lack there of. If your biological mother or father is overweight, as an adult there is over a 70% chance that you will be heavy too. But most individuals with a genetically predisposition are able to lose weight through modifications and lifestyle changes. Illness – Cushing’s syndrome, hormonal problems, low thyroid function, depression and other diseases can be a contributing factor. Inactivity – Individuals that have a sedentary lifestyle burn far fewer calories than an active individual. The bottom line is less calories you burn the less you need. Lack of Sleep – The average person requires approximately 7 hours of sleep a night. Lack of sleep can contribute to changes in your hormone levels which causes an increase in appetite. Medications – Medications such as antidepressants, antipsychotic, anti-seizure, beta blockers, diabetes and steroids can lead to unwanted weight gain. Pregnancy – During pregnancy a women needs to gain a healthy amount of weight. Some women tend to gain an excessive amount of weight which they tend to find hard to lose. Psychological Factors – Emotional eating such as eating out of anger, boredom, or sadness can lead to an individual’s weight gain. Binge eating can also lead to weight gain. Unhealthy Diet and Poor Eating Habits – Over the years our portion sizes have increased and many individuals consume a daily diet that is too high in calories for their body’s daily needs. Skipping breakfast, relying on fast foods, over processed foods, and consuming beverages of a high caloric content are common practice in society today and contribute to weight gain. Is obesity a disease or a lifestyle? So the question remains is obesity a ‘disease’ or a lifestyle? The word ‘disease’ implies that an individual has no control over their condition. Critics will argue that obesity is not a disease, but a lifestyle choice that has been made. Both our genetics and environment play a role in influencing an individual’s choices and behaviors. No two individuals are alike so what may be easy for one individual may not be so for another. What about our genes? In two separate papers published in the journal Science and in the Journal of Clinical Investigation (JCI), researchers describe new genetic factors that could explain weight gain in some individuals. This data confirms that there is another factor; in fact biology to weight gain, rather than just an individual’s lifestyle. These studies show that weight is more than a number, but a complex combination of a wide range of metabolic processes. The way an individual’s brain functions to regulate their appetite; to enzymes that are able to control how sufficiently calories turn from food to a unit of energy that the body is able to use. Genome wide associations studies is a study that compares the genetic makeup of both normal weight and obese individuals. Researchers at the Harvard School of Public Health state that these studies have identified over 30 candidate genes on 12 chromosomes related to body mass index. So far approximately 8 genes are known to cause obesity in humans. These genes alone are a small number, but certainly play a role in obesity. Now let’s take a logical and less scientific approach to obesity. In today’s culture fast food has become the ‘norm’ for a meal and is a major cause of obesity. Fast food is not only high in caloric content, but lacks nutritional value as well. Today’s portion sizes also tend to be ‘super sized.’ Meaning our portion sizes have increased and we are consuming far many more calories than past generations. Americans tend to consume more packaged foods that have been highly processed and are high in sugar content. A recent study by Ludwig and his colleagues in the American Journal of Clinical Nutrition found that when overweight individuals consume refined carbohydrates such as pretzels, white bread, or sugar-sweetened beverages they have a quicker spike in their blood sugar and more activation in the reward centers of their brain that give them pleasure, similar to a drug addict getting a fix. After the sugar high wears off and the blood sugar levels fall rapidly, individuals wind up craving more of the same foods, Ludwig stated. Labeling obesity as a ‘disease,’ puts emphasis on an individual’s scale weight rather than acknowledging that an individual’s lifestyle choices. Questions to consider, how active is an individual on not only a daily basis, but throughout the week? Do individuals allow time for exercise or are they sedentary with little or no activity throughout the week? Recent studies have shown that even a 10 percent weight loss may reduce obesity related conditions up to 20 percent and that is good news. A healthy diet and an active lifestyle including an exercise program can help most individuals, but not all individuals. Every individual is different and each individual will respond differently; there is no cookie-cutter one size fits all approach in the battle of obesity. Does economics play a role in obesity? According to data from the U.S. Centers for Disease Control and Prevention (CDC), one-third of non-Hispanic white adults have obesity, compared with nearly 50 percent of African Americans and 40 percent of Hispanic Americans. Obesity is more prevalent in the lower socioeconomic communities. There also is a link between lower educational levels and obesity. These factors could be associated with a higher level of stress for individuals in both adverse social and economic environments. Is obesity a chronic condition? Obesity is a serious medical condition that needs to be treated with appropriate action, a new found respect and a sense of urgency. Just as other diseases, obesity is a complex disease that affects both mental and physical health. Successful treatments for individuals with obesity require both physicians and non-physicians alike. What are the first steps in preventing obesity and how can I lower my risks? One of the first steps in preventing obesity is to keep your weight in a healthy range. Doctors should be encouraged to discuss risks and promote a healthy and active lifestyle. You are less likely to develop type 2 diabetes, heart disease, certain cancers, and other health problems. A study by Timothy Church, director of preventive medicine research at Pennington Biomedical Research Center in Baton Rouge, La. published last year found that being physically fit can counteract the detrimental health effects of obesity and that obese individuals who walked at a moderate pace for 30 minutes five days a week had similar cholesterol, blood pressure, and blood sugar levels as sedentary individuals who were at a healthy weight. Avoid being sedentary and get moving. Aiming for 30 minutes of activity most days a week is beneficial. Put an emphasis on being active and limiting television time. Taking the stairs and parking your car a little further out can burn extra calories too. Activity can be done in short increments, 10 minutes here, 20 minutes there; it all adds up to 30 minutes a day. Overtime these small steps will become a habit. Both the Federal dietary guidelines and the MyPlate website offer a variety of healthy eating tips that can help individual’s control their weight. Below are a few of their tips. Replace unrefined grains such as white bread, white rice and pasta with whole- grain options including brown rice, oatmeal and whole wheat bread. Consume lean sources of protein including lean meats, seafood, beans and peas, soy nuts, and seeds. Here are some more tips for lowering your chances of obesity. Select healthy whole food sources rather than opting for fast food, or highly processed foods with little to no nutritional value. Consume fewer calories. Be aware of your portion sizes and avoid overeating. Get adequate sleep. Research shows individuals need approximately 6 to 8 hours of sleep. Avoid unhealthy fats including foods that have been fried, baked in hydrogenated oils, chips and other highly processed snack foods. Get outdoors and get active. Try walking, jogging, swimming or go for a bike ride. Avoid eating late at night. If you need a late night snack opt for something healthy. Avoid refined carbohydrates. Instead select slower digesting whole grains that will leave you feeling satisfied. These are some valuable tips. Take a look at your eating habits and your lifestyle and determine the areas you can improve upon. Whether you are looking to lose weight or maintain a healthy weight, we can all make some modifications that over the long haul will be beneficial to our health. By placing emphasis on eating healthy and maintaining an active lifestyle we as individuals can prevent and lower our risks of obesity. Has the FDA approved a drug to fight obesity? With the (AMA’s) decision to classify obesity as a disease the Food and Drug Administration (FDA) is more likely to focus on some of the benefits that new weight loss drugs could offer. Prior to the announcement to declare obesity as a disease weight loss drugs were severely limited. The hope is that insurance will be more inclined to give reimbursement for weight loss drugs. In the meantime, two new drugs targeting obesity, Belviq and Qsymia have begun selling recently. How does obesity impact health? Growing evidence shows certain health risks are associated with being overweight and having an elevated BMI. Individuals that are considered obese have a greater chance of developing type 2 diabetes, heart disease and stroke. A higher BMI elevates an individual’s risk of cardiometabolic abnormalties, which are measured by blood pressure, cholesterol, glucose, triglycerides, insulin resistance, and inflammation. For further information on how to reduce inflammation through your diet, please see this link. Obesity is also linked to certain types of cancer, gout and gallbladder disease. It can also cause problems such as sleep apnea and osteoarthritis. The more overweight an individual is, the greater the risk is for these health problems. Another painful aspect of obesity is the emotional suffering being overweight can cause. Emotional suffering can lead to an individual becoming depressed. What are the diseases related to obesity? Cancer-Obese women are typically more prone to breast, cervix, colon, gallbladder, ovary, and uterine cancer. Obese men run a greater risk for developing colon, prostate, and rectal cancer. Diabetes-Overweight individuals are twice as likely to develop type 2 diabetes. Type 2 diabetes reduces an individual’s ability to control their blood sugar levels. Gallbladder Disease-Both gallbladder and gallstone disease are common in overweight individuals. Gout-Overweight people run the risk of developing gout which is caused by a buildup of high levels of uric acid in the bloodstream. For more information on how to reduce gout symptoms through you diet refer to this link. Heart disease and Stroke-Obese individuals run a greater risk for high blood pressure which is a major risk for developing heart disease or having a stroke. Osteoarthritis-The more obese individuals are, the more weight they carry. This places a great amount of pressure on the joints including the hips, lower back and the knees. The pressure on these joints leads to wear and tear on the cartilage causing osteoarthritis. Sleep Apnea-Overweight individuals run a greater risk of sleep apnea. Apnea can cause a person to stop breathing for short bursts of time during sleep and can cause snoring. *As an individual’s weight increases, so does the risk for developing one of these diseases. An individual can greatly lower their risk by reducing their BMI. How will it affect my insurance if I am obese? Individuals who are overweight are typically charged higher rates for medical insurance coverage. Some individuals can even be denied coverage if they are considered seriously overweight or obese. Insurance companies feel if an individual is overweight, it can lead to health complications and the complications can be very costly to treat. Insurance companies who do elect to carry overweight individuals tend to charge higher rates to cover these potential costs. Currently the disease has no influence on pressuring insurers to cover medications or treatments, but that could change. The hope in the near future is that since obesity is considered a disease; it will persuade insurance companies to treat obesity sooner, rather than later, which makes sense. In the near future doctors are hopeful that they will be able to bill for their services. In the short term that could put a damper on insurance companies’ profits. Health care experts claim that in the long run providing treatments for obesity could significantly cut high costs from diseases associated with the obesity epidemic. Obesity does tend to run in families. Individual’s genes can certainly influence their weight, but there is more to it than that. Families tend to have similar eating habits, lifestyle and activity habits. The good news is even if an individual is prone to obesity due to genetics; it isn’t the only deciding factor. If my child is considered obese now does he have the potential to be obese when he grows up? If your child is obese now it doesn’t necessarily mean he will be obese later on in life. It does however increase his risk. Usually children who are overweight in their early years tend to remain that way into their teens. One of the best ways to minimize a child’s potential for obesity starts in their own home. Children learn by example. The best way to prevent weight gain and obesity is to get the whole family involved. A family that has healthy eating habits and an active lifestyle together will be less likely to put on unwanted pounds and be healthier. If my child is considered obese how can I help him? Healthy habits should be encouraged at home. Prepare healthy meals at home, don’t depend on fast food. Have your child help with meal preparation and make it a fun experience he can look forward to. Pack your pantry with healthy snack options. Limit their juice and soda. Limit television and video games. Becoming involved and encouraging your child to eat healthy and live an active lifestyle is a step in the right direction. This may require you as an adult to spend more time preparing their food and spending more quality activity time with your child. Helping your child now with these small steps can ensure your child will continue to have a healthy lifestyle as they move into adulthood. What is the cure for obesity? The good news is that while there is no ‘cure,’ losing a little bit of weight in the short-term can reduce an individual’s risk of health problems in the long run. A reduction in an individual’s weight by just 10 percent can reduce the risks of developing heart disease and other health related issues that relate to obesity. Prevention is the best defense. Individuals who have a healthy balanced diet and an active lifestyle can greatly reduce their risks of becoming obese. And it is never too late to start. You can start feeling better and seeing results just by making healthy changes. Start by introducing healthy foods into your diet, ditch the fast foods and highly processed foods. Next, get active. Set a goal for yourself to be active 5 days a week aiming for 30 minutes a day. If you are considered obese, having a BMI of 30 or above, consider seeking professional help. There are a variety of treatments available to an individual, including dietary, behavior and drug therapy. Speak to your doctor about your health and losing weight. Qualified professionals will be able to assist you better for your individual needs.